Life Before the Dinosaurs: Canadia. 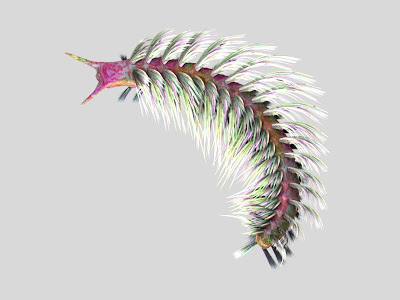 Canadia is an annelid worm that lived in the Cambrian Period. It was probably about 1 to 2 inches long, but could have been larger. Canadia might have had diffraction grating, which would mean that from some angles it may have appeared colorful, like Marrella. Canadia was discovered by Charles Doolittle Walcott. 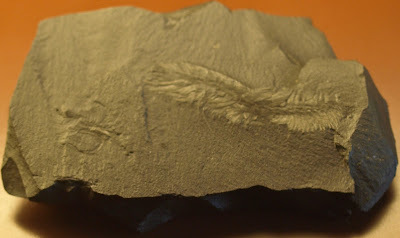 It could have used its setae (short bristles) to swim, but it could also crawl along the sea floor with its legs. Canadia was probably either a carnivore or a scavenger, because it had a proboscis, and because no sediment has been found in the gut. Canadia means "of Canada" or "after Canada," because it was discovered in Canada. 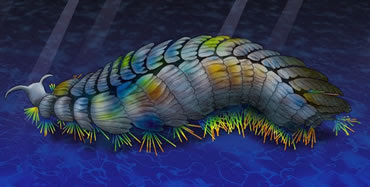 Canadia's gills looked like mollusk gills, so Canadia could be related to mollusks. Its setae were armor-like and could have been used for defense as well as swimming. Art - Great work on this very complete and growing blog! I'm flabbergasted at the depth and accuracy of your vocabulary and shared knowledge on the subject: most (okay, all) of the information I've gleaned from your blog was new to me. Keep learning and sharing, I can't wait to read more.